Door Control, Inc. – We Sell Doors. We Service Doors. We Understand Doors. Designing an exquisite entrance for your next project? From choosing the best door for your application to keeping your entire inventory of doors safe to designing and engineering creative, custom solutions – consider DCI your door expert. We do more than install doors. We are a part of your team from design to installation. We are not only door experts, we are safety experts. Every one of our Technicians are certified through AAADM on the ANSI standards. 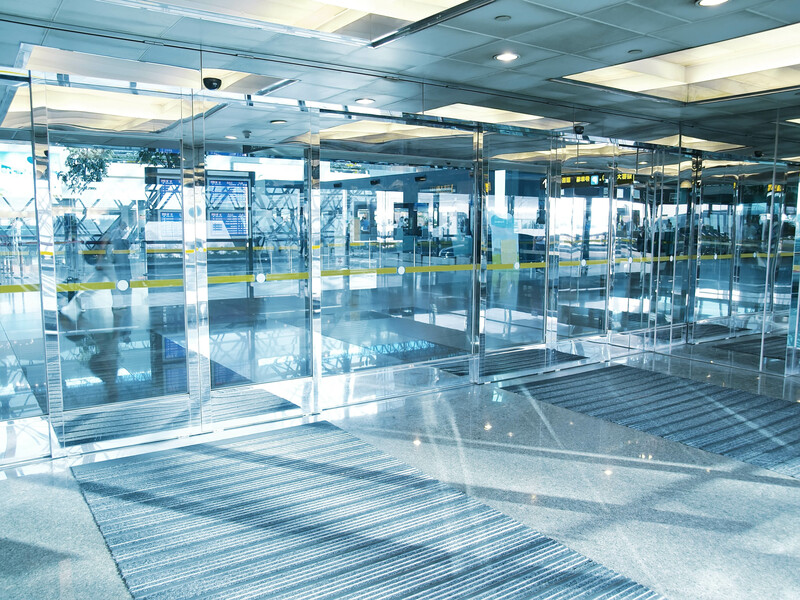 From amusement parks to museums – we have collaborated on many creative uses for automatic doors. You have ideas? We have experts. A door is more than an opening. It is a warm welcome to all who enter. We share the same goals - for your door to blend perfectly with the aesthetics of the building, to maximize energy efficiency and to keep your guests safe. What is the best door for your application? There are many factors to consider - call our experts to help plan and design your project so it will be safe, affordable and beautiful. We hold very high standards to our partners. They are regarded as some of the best in the industry. We are proud of our dependable, secure working relationships with them and the quality, workmanship and safety we deliver together. Dynaco. The industry leader in high-speed, fabric roll-up doors is part of the global Entrematic business in entrance automation. Assa Abloy/Besam. A world-leading provider of a wide range of safe, convenient, reliable entrance solutions. Record has over 50 years experience in mechanics, sensor technology, electronics and software for automatic door systems.